The first few seconds of a new guest's visit are critical. You want to attract their attention and keep it. Since 1996, WavMixer has been creating custom graphics for clients around the world, including aerospace, law, medicine, music and entertainment, automotive, agriculture, real estate, education, retail, restaurants, manufacturing, and more. Establishing a successful internet presence requires much more than a stunning graphic design alone. A well thought out plan and precise strategy is key. WavMixer asks the right questions and carefully interperates your answers to quickly develop a solid plan to successfully achieve your online business goals. Our expert design capabilities, interactive programming, concise navigational structures, and complete hosting solutions allow us to uniquely provide you with a complete internet presence and support your online campaign. Web applications and websites require maintenance and support as your needs change and grow. WavMixer provides maintenance and support services freeing you from maintaining expensive in-house support staff. We partner with our clients to help their online business running smoothly and error-free. One of the first questions that we are always asked is "how much will a web site cost?" Unlike many of our competitors, we prefer not to use pre-made, one size fits all templates or "cookie cutters." Please take a look at our portfolio of client web sites and you will find that each site has it's own unique style and atmosphere. Because every site that we create is unique, there is no set price for a website. 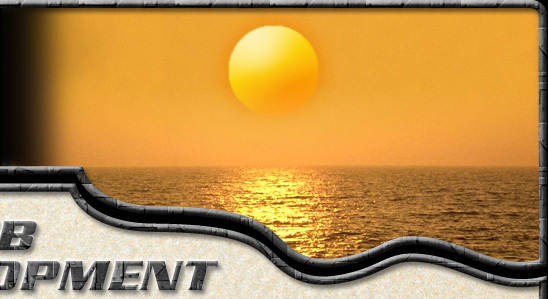 We pride ourselves in investing time communicating with our clients to ensure that we meet their specific needs. Logo creation, art design, interactive features and programming functionality all figure into the equation and every client has different requirements. This is why we listen to our clients and understand their needs before offering a price quote. Once we both agree upon the work to be done and are envisioning the same final product, there will be no variation in price from the work you are originally quoted. Well over a decade of web design & development experience allows us to to know the work that each project will entail, so we never surprise our clients with any "unforeseen" additional costs after the work has begun. 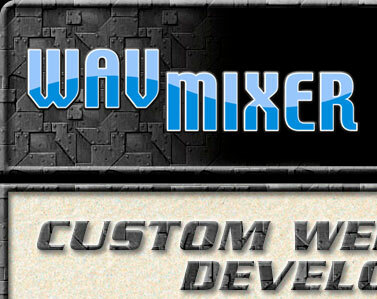 WavMixer offers a complete line of marketing services to meet all of our client's needs. Thanks to 21st century technology, you can now share your message with the world. No job is too small at WavMixer. WavMixer formulates comprehensive marketing campaigns based upon our client's needs and goals. With scalability, reliability and security built in from the ground up, WavMixer's e-commerce solutions are designed to enable you to conduct online transactions conveniently and safely. In a CMS, data can be defined as nearly anything - documents, movies, pictures, phone numbers, scientific data, etc. CMSs are frequently used for storing, controlling, revising, semantically enriching, and publishing documentation. Content that is controlled is industry-specific. For example, entertainment content differs from the design documents for a fighter jet. There are various terms for systems (related processes) that do this. Examples are web content management, digital asset management, digital records management and electronic content management. Synchronization of intermediate steps, and collation into a final product are common goals of each.